Storms almost always wreck havoc on roofs all over the world, and Dartmouth is not an exception. Whether these are tornadoes, hurricanes, or hail storms, harsh elements can puncture and tear off roof shingles. If a storm has hit your area, right after the storm, you need to visually inspect the interior and exterior parts of your home. It’s important to look for signs of damage so that you can immediately contact your roofing company Dartmouth to further assess your roof and suggest the best course of action. Below are 5 tips and ways you can identify damage after a storm. 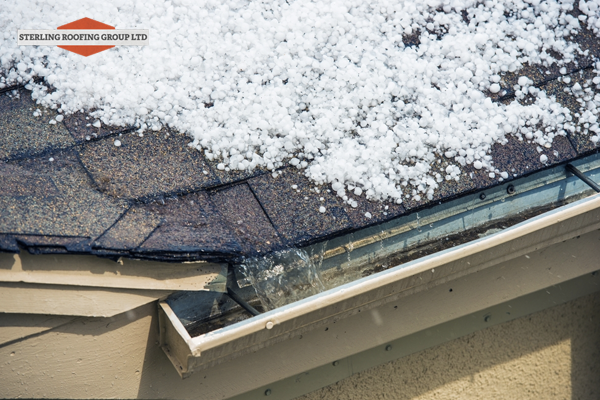 Chunks of hail, strong rain, and strong winds chip away granules from your shingles. These will run down into your gutters so make sure that you check them. Missing shingle granules further exposes your roof to elements, causing leaks inside your home. Missing shingle granules further exposes your roof to elements, causing leaks inside your home. You also need to check your gutter system for dents if you think that it has taken a beating from hail stones. If your gutters are made of aluminum, then there’s a huge chance that they will be damaged from a terrible hail storm. 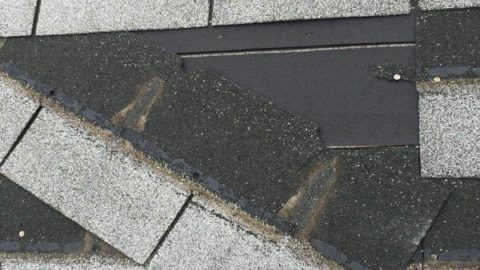 A good place to start looking for signs of roofing damage would be the ground. Note fallen branches, pieces of broken shingles, metal pieces from your roof chimney, and hail. Unless you are very used to tackling roofing problems on your own, which is almost always impossible, we strongly advise you to seek the help of roofing contractors in Dartmouth. Professional roofing contractors Dartmouth are the best people you can rely on to go up your roof and conduct more detailed inspections. Storms are one of the most common causes of roofing leaks. Water can enter your home from various angles and you need to be vigilant before a minor leak gets bigger. If your shingles are missing or obviously damaged, then you can safely assume that water has entered your home. Go into your attic and carry a flashlight with you. Water reflects light so you should be able to detect an active leak. Even if it’s a sunny day, you’ll be able to easy spot holes in your roof and these are where sunlight usually shines through. Also, try to check for water stains or discoloration on your ceiling, walls, and floor. Cracking or peeling paint is also a sign. If you find black mold inside your home, call your roofing contractors in Dartmouth immediately. Roofing damage such as punctures and missing shingles can be accompanied by high energy bills. If you have been neglecting to inspect your roof right after a storm and noticed that your energy bills skyrocketed, a roofing damage is most likely to be blamed. Air that escapes through holes in your roof is the reason why your heating and cooling systems work harder than their usual effort. All the heat and cold that’s meant to keep you comfortable only go unutilized. If you’re looking to save on your bills, then do not hesitate to get a roofing restoration Dartmouth. Another method for you to be able to tell that your roof has sustained damaged is by looking at your metal roof venting systems. Hail cause dents and worse can even crush or bend your vents. Remember that venting systems work to prevent moisture damage by allowing air to pass out. If your venting systems get damaged, they won’t be able to work effectively to keep your home moisture-free. Mark these damaged vents so you can have them replaced immediately. At the same time, assume that your roofing shingles have sustained damaged too. 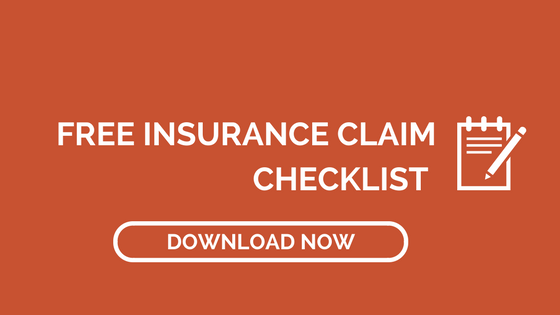 If you ever plan to file a roofing insurance claim for storm damage, proper documentation will be your best weapon. Written notes and images with corresponding dates help support your claim. Documentation is especially important if your insurance company only covers you for certain types of damage. Also, documenting signs of roofing damage will serve as a baseline data for a roofing contractor to uncover hidden problems related to those signs. Make sure to look for a roofing company Dartmouth that has experienced and is willing to help you through the insurance claim process. Never Handle Roofing Repairs Yourself! Why shouldn’t you take on a roofing repair all by yourself? While many homeowners are tempted to go the do-it-yourself route to save money, this puts you at risk for accidents. It’s very easy to fall off your roof and end up at the hospital, or worse, dead, without the right kind of training. You’re prone to making mistakes especially if you’re tired and the weather is bad. 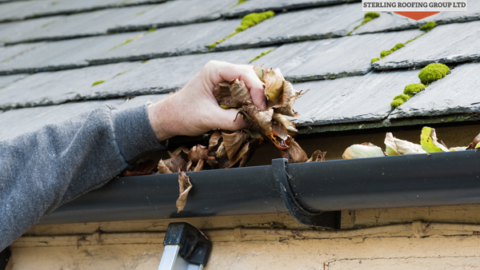 It doesn’t matter if you’re dealing with missing shingles, leaks, or damaged gutters. Safety is of utmost importance. 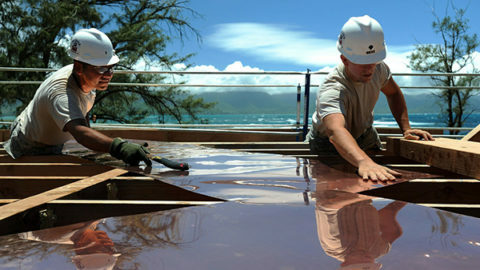 Most of all, a functional and beautiful roof can only be achieved with the help of a trusted roofing company Dartmouth. Have You Been Hit by a Storm Lately? Save yourself from the consequences of roofing damage by getting in touch with a trusted roofing company Dartmouth. If you have arrived on this page for that purpose, we’re happy to let you know that Sterling Roofing Group can handle your problems today. We offer roofing maintenance Dartmouth and roofing restoration Dartmouth to make sure that your roof stays in tip-top shape all year round. Learn more about us or get in touch with us at 902-817-7663 so you can get your free estimate.